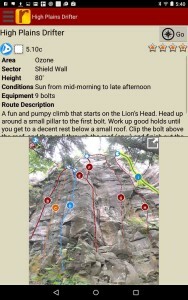 The Ozone cliff band consists of three different cliffs, all comprised of the same band of quality rock, ranging from 40' tall to over 120' tall, and all three cliffs are somewhat connected by a rough trail system. 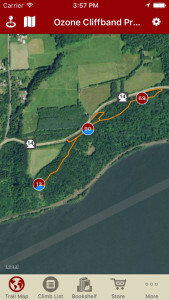 Ozone Cliff is certainly the most popular cliff of the three cliffs, and quite possibly the most popular cliff in the Portland area. 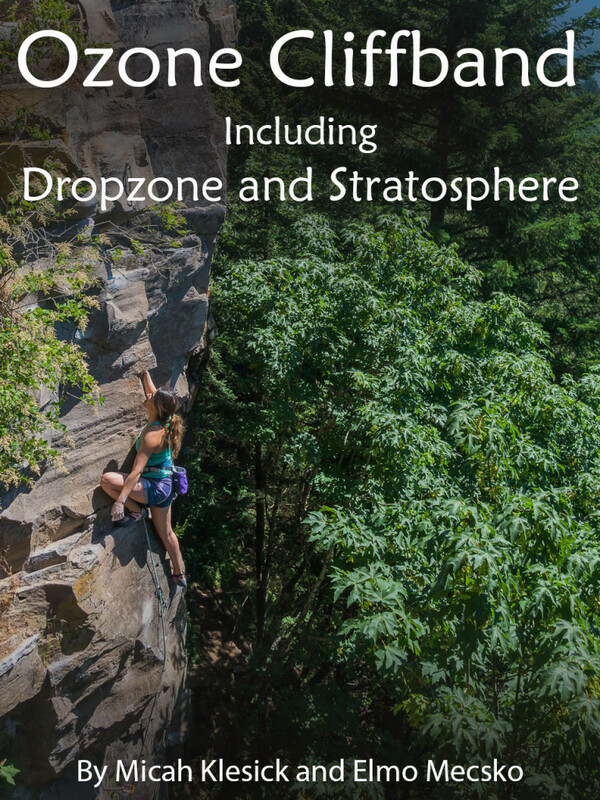 While they are comprised of the same rock, Dropzone/Farside and Stratosphere are less popular, Dropzone/Farside due to being mostly traditionally protected lines, and Stratosphere simply because it is newer and a little further from the parking. 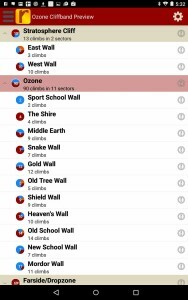 When sampling the excellent climbing here, it is recommended to have at least some trad gear with you, as many of the routes need one or more pieces of gear to safely ascend them. 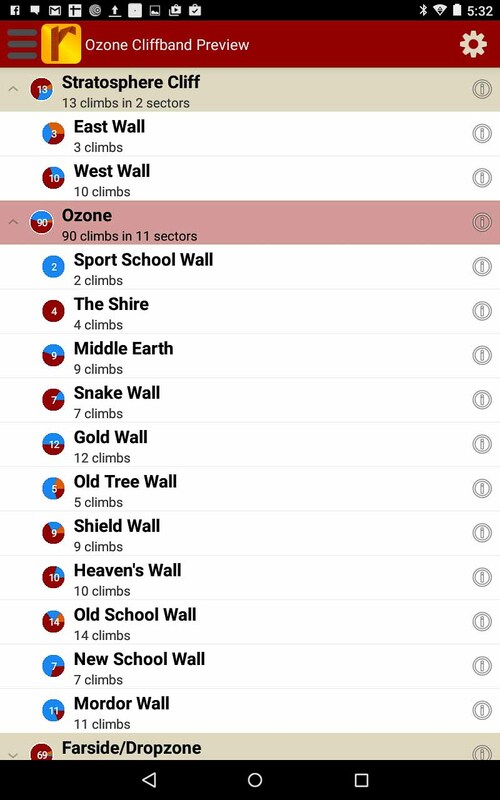 Explore Ozone via our interactive trail map. 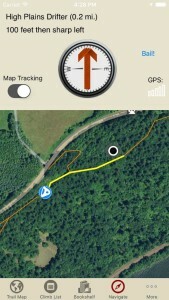 Smart Topos! Tap on a climb name, the topo line highlights. 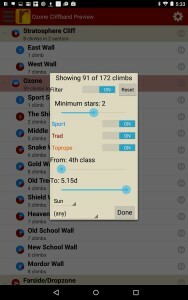 Tap on a climb ID badge, the climb name is highlighted. 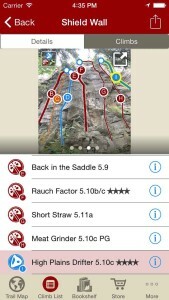 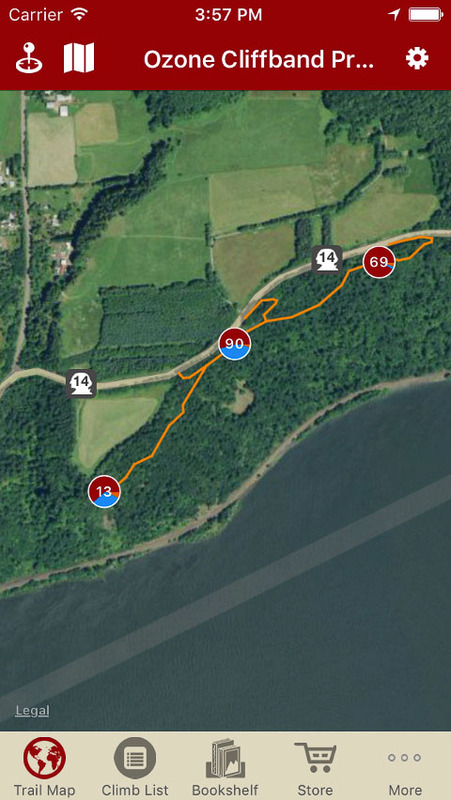 Color topo lines by grade or climb type, or hide altogether, in full screen too! 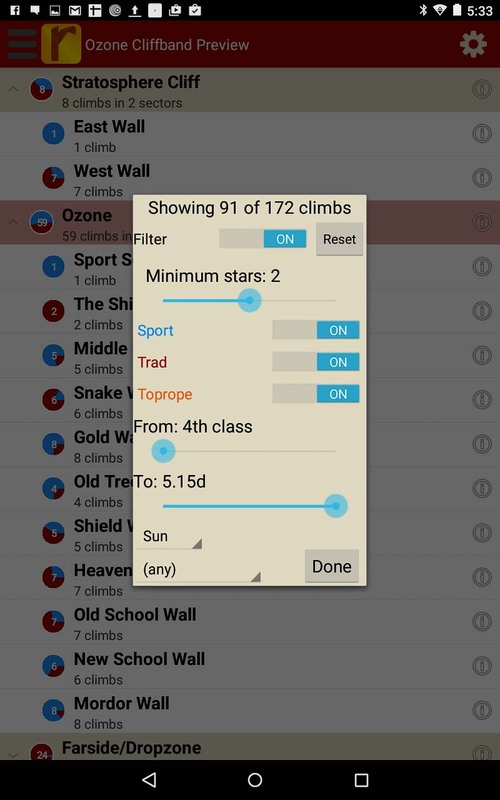 Hierarchical climb list provides an alternative way to explore. 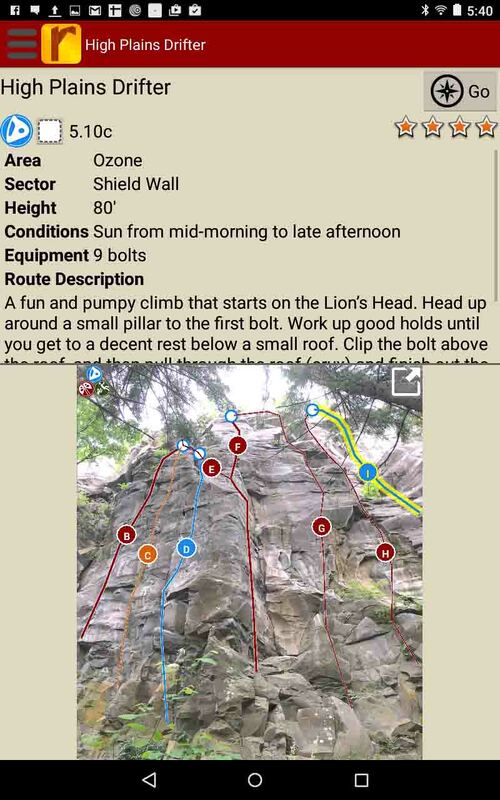 Use Micah & Elmo’s beta to send your next proj!